Author Graham Greene joined MI6 in August 1941. 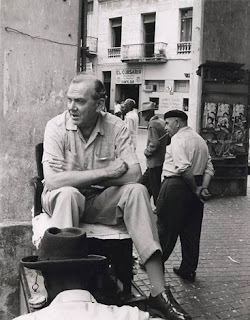 In London, Greene had been appointed to the subsection dealing with counter-espionage in the Iberian peninsula, where he had learned about German agents in Portugal sending the Germans fictitious reports which garnered them expenses and bonuses to add to their basic salary. One of these real agents was "Garbo", a Spanish double agent in Lisbon, who gave his German handlers disinformation, by pretending to control a ring of agents all over England. In fact, he invented armed forces movements and operations from maps, guides, and standard military references. Garbo was the main inspiration for Wormold, the protagonist of Our Man In Havana. Remembering the German agents in Portugal, Greene wrote the first version of the story in 1946, as an outline for a film script, with the story set in Estonia in 1938. 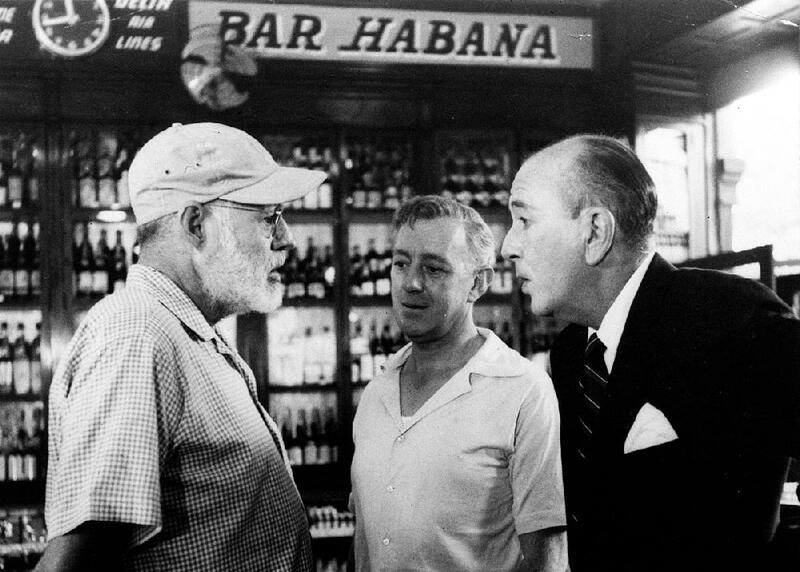 The film was never made, and Greene soon realized that Havana – which he had visited several times in the early 1950s – would be a much better setting, the absurdities of the Cold War being more appropriate for a comedy. The novel, a black comedy, is set in Havana during the Fulgencio Batista regime. James Wormold, a vacuum cleaner retailer, is approached by Hawthorne, who offers him work for the British secret service. Wormold's wife had left him and now he lives with his sixteen-year-old beautiful, devoutly Catholic but materialistic and manipulative daughter Milly. Since Wormold does not make enough money to pay for Milly's extravagances, he accepts the offer of a side job in espionage. Because he has no information to send to London, Wormold fakes his reports using information found in newspapers and invents a fictitious network of agents. Some of the names in his network are those of real people (most of whom he has never met) and some are made up. Wormold only tells his friend and World War I veteran, Dr. Hasselbacher, about his spy work, hiding the truth from Milly. At one point, he decides to make his reports "exciting" and sends to London sketches of vacuum cleaner parts, telling them that those are sketches of a secret military installation in the mountains. In London nobody except Hawthorne (Noel Coward), who alone knows Wormold sells vacuum cleaners, doubts this report. But Hawthorne does not report his doubts for fear of losing his job. In the light of the new developments, London sends Wormold a secretary, Beatrice Severn, and a radio assistant codenamed "C" with much spy paraphernalia. On arriving, Beatrice (Maureen O'Hara) tells Wormold she has orders to take over his contacts. Her first request is to contact the pilot Raúl. Under pressure, Wormold develops an elaborate plan for his fictitious agent "Raúl" and then coincidentally, a real person with the same name is killed in a car accident. From this point, Wormold's manufactured universe overlaps with reality, with threats made to his "contacts". Together, Beatrice (who doesn't realise the contacts are imaginary) and Wormold try to save the real people who share names with his fictional agents. Meanwhile, London passes on the information that an unspecified enemy (implied to be a Soviet contact) intends to poison Wormold at a trade association luncheon where Wormold is the speaker. It would seem that his information has worried local operatives who now seek to remove him – London is pleased by this, as it validates his work. Wormold goes to the function and sees Dr. Hasselbacher (Burl Ives) who loudly warns him of the threat. Wormold continues to dinner where he refuses the meal offered and eats the second one. 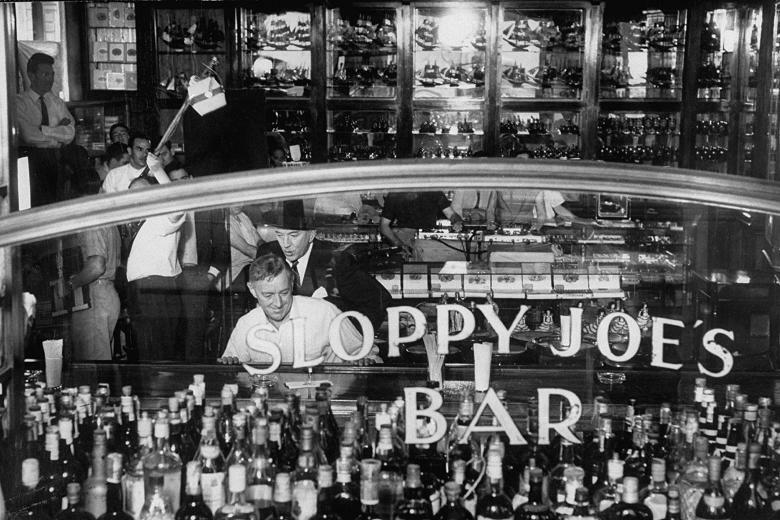 Across the table sits a fellow vacuum cleaner salesman, a man he'd met earlier called Carter, who offers him whiskey – suspicious, Wormold knocks over the glass, which is then drunk by the headwaiter's dachshund, which soon dies. In retaliation for the failure, Carter kills Dr. Hasselbacher at the club bar. Captain Segura (Ernie Kovacs), a military strongman who is in love with Milly (Jo Morrow) and intends to marry her, has a list of all of the spies in Havana – a list that Wormold would like to send to London to partially redeem his employment. He tells Segura that he's going to his house to discuss Segura's plans about Milly. Once there, Wormold proposes they play a game of draughts using miniature bottles of Scotch and Bourbon as the game pieces, where each piece taken has to be drunk at once. Eventually, Segura (who is the much better player) ends up drunk and falls asleep. Wormold takes his gun and photographs the list using a microdot camera. To avenge the murder of Dr. Hasselbacher, Wormold follows Carter to a local brothel and after some hesitation shoots with Segura's pistol, but misses Carter. Wormold sends the agent list as a microdot photograph on a postage stamp to London but it proves blank when processed. Wormold confesses everything to Beatrice, who reports him to London. They are summoned back to headquarters where Beatrice is posted to Jakarta and Wormold's situation is considered – despite the deception, some of his information is valuable and he needs to be silenced from speaking to the press so they offer Wormold a teaching post at headquarters and recommend him for an OBE. Afterwards, Beatrice comes to Wormold's hotel and they decide to marry. Milly is surprisingly accepting of their decision and is to go to a Swiss finishing school paid for by Wormold's scam earnings. 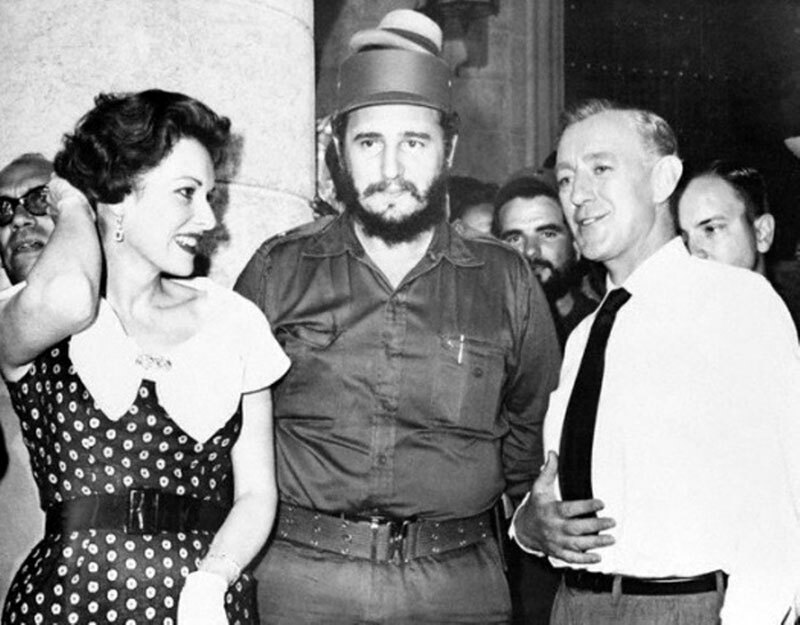 The revolutionary government of Cuba allowed the film version of Our Man in Havana to be filmed in the Cuban capital, but Fidel Castro complained that the novel did not accurately portray the brutality of the Batista regime.